CACI International has been awarded a $28.7 million task order to support the U.S. Air Force Civil Engineer Center’s NexGen IT modernization program. Under the new task order, awarded through the General Services Administration’s governmentwide Alliant acquisition vehicle, CACI will continue its previous work to develop and deploy a modern enterprisewide system for Air Force facilities management. 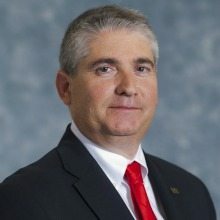 CACI will help the Air Force implement an agile development methodology to support the Air Force’s evolving business processes, one that will enable the accurate and timely reporting needed to meet standards for real property and financial auditing, the company said. The task order covers a 19-month period, and will support the Air Force Lifecycle Management Center.